Fred Hoiberg’s coaching staff was announced Friday afternoon. 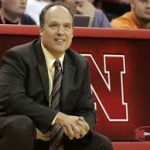 His staff will feature a pair of new hires in assistant coaches Matt Abdelmassih and former Husker Head Coach Doc Sadler, while Armon Gates will stay on the coaching staff after joining the Husker program prior to last season. Hoiberg also announced that longtime college basketball coach Bobby Lutz will join the program and serve as special assistant to the head coach. Abdelmassih, Sadler and Lutz all worked with Hoiberg at Iowa State, playing significant roles in helping the Cyclones make four NCAA Tournament appearances from 2012 to 2015. Sadler served as Husker head coach from 2006 to 2012, and led them to three NIT appearances.